I’m slowly adding to my Museum of Dust, and each tiny bottle has a tale to tell. 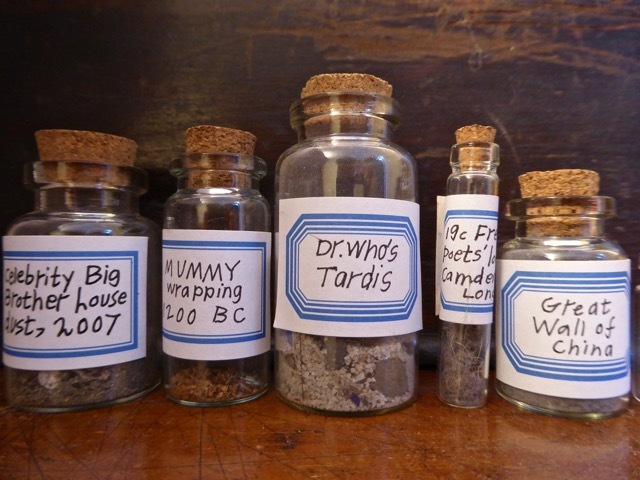 My plan is to have a miniature travelling museum of dust and related stories. One freezing, foggy morning in Beijing I travelled to the Great Wall at Mutianyu. 90km to the north-east of the city. This is what Mutianyu looks like in the summer (thank you www.travel chinaguide.com) but not in early March, when it performed vanishing tricks in drifts of icy fog. 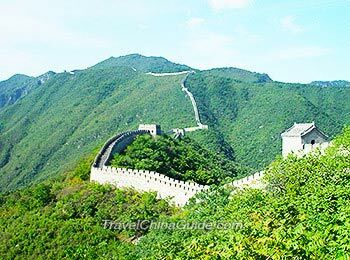 The building of walls along China’s northern borders began around the fifth century BC and carried on till the seventeenth century. The section I visited was built in the fourteenth century but renovated in the 1980s. Apparently the original (super-strong) mortar holding the walls together was a mixture of slaked lime and … rice porridge. This caused understandable bad feeling amongst the poor, peeved to see their rice harvest used by Ming overlords for a showy-offy Wall. 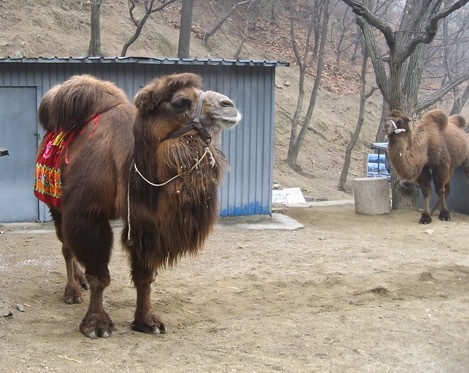 This entry was posted in Travels and tagged bactrian, Beijing, China, Great Wall of China, Marco Polo, Ming, Museum of Dust, Mutianyu, Sally Kindberg's Museum of Dust, travels. Bookmark the permalink.